Medical authorities in Liberia have called on the government to stop sending medical students to study in China because Chinese medical school graduates are substandard. The Liberia Medical and Dental Council has called on the Ministry of Health and Social Welfare and the Ministry of Education to place a hold on awarding scholarship to medical students for study in China. Speaking at a news conference held in Monrovia on November 26, the council through its Chairman, Professor Robert Kpoto, said medical practitioners graduating from Chinese medical schools are performing below expectation. According to him, this could be that the selection process of these students for the scholarship program was not done properly. "Medical practitioners graduating from Chinese medical schools are performing below expectation. They are even incomparable with doctors who are here. I mean, they are failure and something must be done about this," Professor Kpoto said. 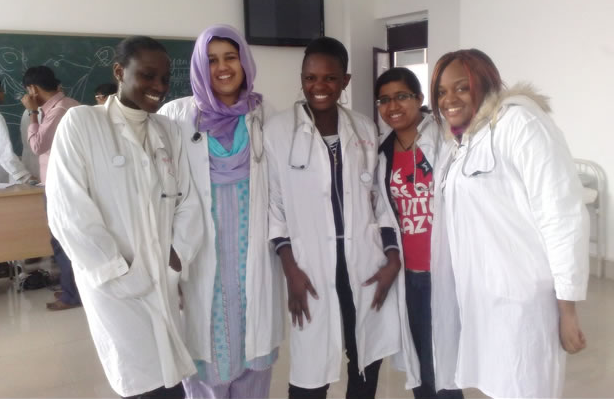 "I want to think that something might have gone wrong in the selection and vetting processes of these students who have been given scholarship to study medicine in China," said Prof Kpoto. He recommended that the medical council be part of the entire selection and vetting processes so as to get the proper students for such scholarship.